The recovery times and aspects of recovery differ depending on the procedure you have. Generally, LASIK requires a 2-3 day recovery period before returning to your normal routine. PRK and Epi-LASIK will require 4-7 days before returning to driving and many normal daily tasks. Will my eyes hurt after my eye surgery? Can I wear makeup the next day? When can I work out or play sports? These are some of the more frequent questions patients ask as they prepare for vision correction surgery. • After the topical anesthesia wears off, you will likely have some discomfort after surgery. Some discomfort is normal and your doctor will have given you instructions about how to relieve the discomfort. 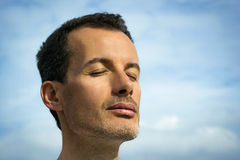 • When you get home, rest your eyes for 2-4 hours and avoid any strenuous activity. You can return to your normal routine the next day. Protect your eyes by wearing sunglasses if you’re outside during the day and eye shields in bed at night. • Right after the procedure your vision will be foggy as if you opened your eyes under water. You should be able to see much better within hours of the procedure but you may have some temporary side effects as you go through the healing process. The most common is dryness, and your doctor will likely have provided you with lubricating eye drops. Make sure to use them as instructed to keep your eyes moist. • Other potential symptoms you may experience after surgery include halos around your eyes at night, tearing eyes, puffy eyelids and sensitivity to light. These should all diminish within a week. • Your doctor will want to see you the day after your surgery, one week after and to remove protective lenses 5 days after surgery, if you have had PRK or Epi-LASIK. During these visits the doctor and medical technicians will test your vision and examine your eyes to make sure your recovery is going well. • It’s very important that you do not rub or touch your eyes. Your eyes will be sensitive and you don’t want to disturb the healing. 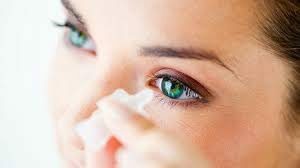 • You should be able to shower the day after your surgery, just be sure to keep soap and any chemicals out of your eyes. • Avoid any water that could be contaminated. This includes hot tubs, swimming pools lakes, rivers and the ocean for 3 weeks. • You can start exercising after the first week. • Stay away from contact sports, such as football for a week and wear sports goggles after that for a month – you don’t want to risk getting poked in the eye. • If you have severe myopia (nearsightedness), your eyes may take longer to heal. Your doctor should have provided you with your recovery plan, which may include wearing glasses for a short period of time as your eyes heal. • Your eyes will still be healing during this time. Attend all your follow-up visits with your eye doctor so she can continue to monitor your vision and eye health. Working with your laser vision correction surgeon throughout the recovery and healing process is essential to an overall good outcome, so keep him updated on how you are doing and ask any questions you may have about your vision. Most patients have a short recovery time after laser vision correction and are very happy with the results. Having a laser vision correction procedure doesn’t end your relationship with your eye doctor; you will still need to have regular eye exams.Laser vision correction doesn’t prevent your eyes from changing as you age, so staying on top of your eye health is important.